Tank 20% off all Slam Cake Vapes right now! Discussion in 'Giant Vapes' started by PeetThePickle, Jan 23, 2019. 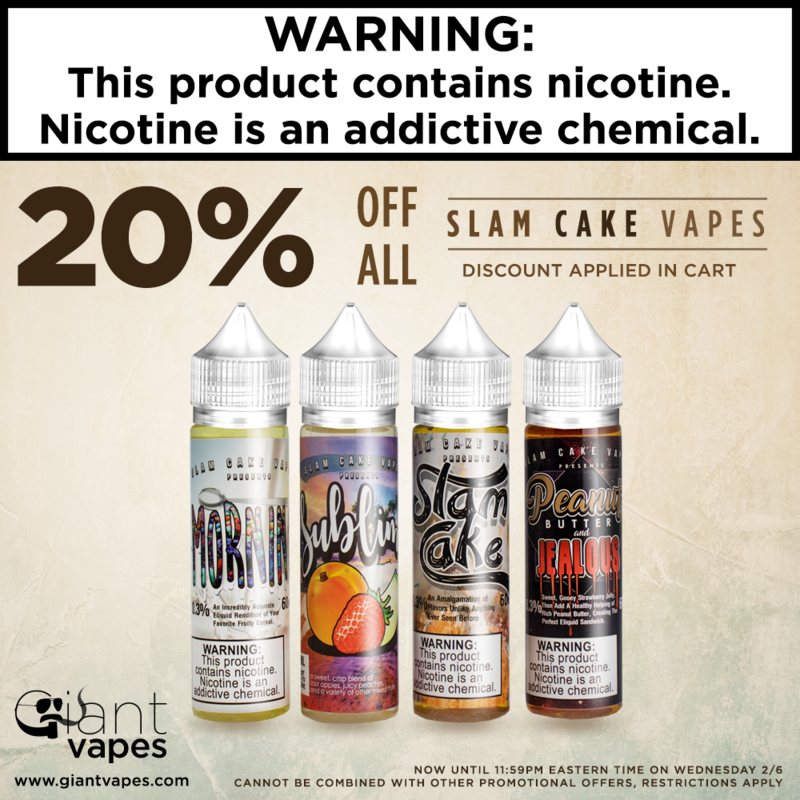 Save 20% on all Slam Cake Vapes! No coupon code needed, your discount will be applied in cart. Sale ends 2/6 at 11:59 PM Eastern Time. Cannot be combined with other promotional offers, restrictions apply.